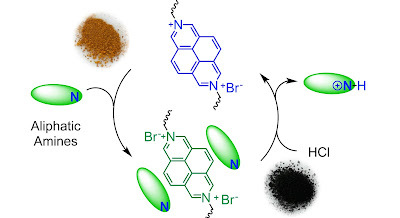 Supramolecular approach for amine capture&sensing!! Our manuscript entitled "Diazapyrenium-based porous cationic polymers for colorimetric amine sensing and capture from CO2 scrubbing conditions" is just accepted for publication in RSC Advances. Congratulations Kahee for this nice piece of work! !